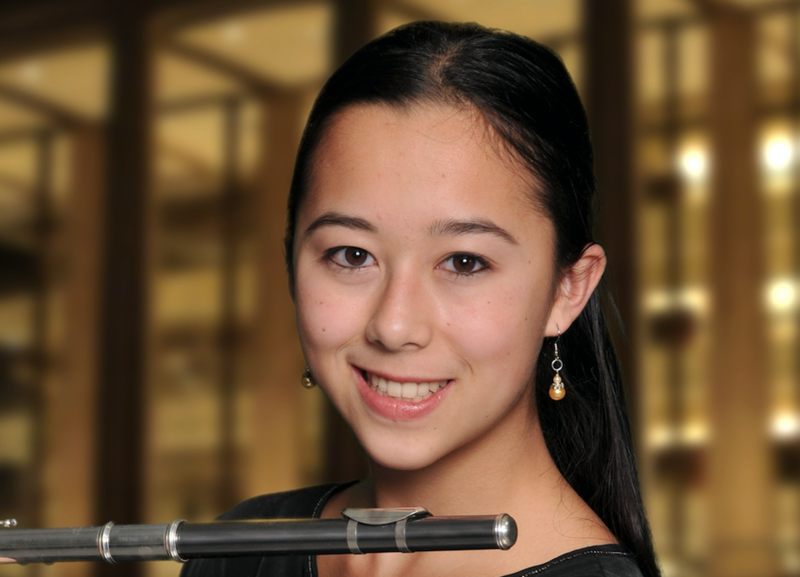 Audrey Emata, 16, debuted as soloist with the Philadelphia Orchestra in Verizon Hall at age 12, and has also soloed with the Allentown, Lansdowne, Ambler, Warminster, Old York Road, Delaware County, and Juilliard Pre-College orchestras; she will be performing with the Kennett Symphony at Longwood Gardens in August 2017. 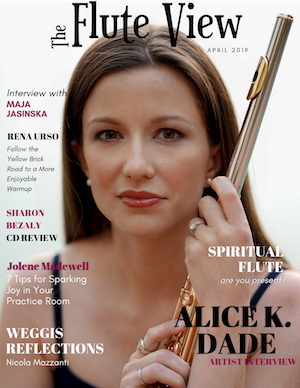 Audrey is a three-time winner of the New York Flute Club and Philadelphia Flute Society competitions, a two-time winner of the Mid-Atlantic Flute Fair competition, and has also won first prizes at the Pocono Flute Festival and the Asian-American Society International Competition, as well as a Yamaha Prize at the Julius Baker Master Classes in Danbury, CT. She was a finalist at the 2016 NFA high school competition in San Diego, was featured on NPR’s From the Top (Show 299), and has performed with Sir James and Lady Jeanne Galway at the Kennedy Center. I started taking piano lessons from my mom at the age of four. 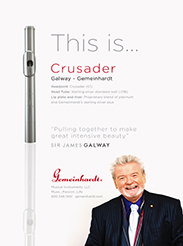 Why did you choose the flute? 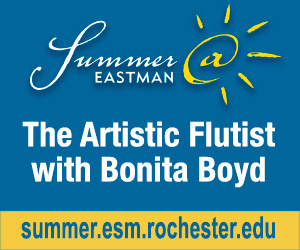 When I was six, my mom was accompanying for Rebecca Simon’s flute studio. She had a full day of rehearsals, and she couldn't find me a babysitter. I sat and listened to hours of flute music, and I was entranced. My mom got me a cheap rental flute for the summer, and accompanied for Becki in exchange for lessons for me. 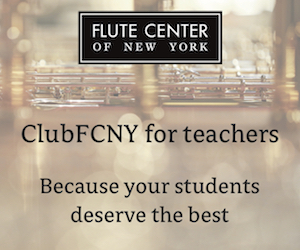 Who is your primary flute teacher? 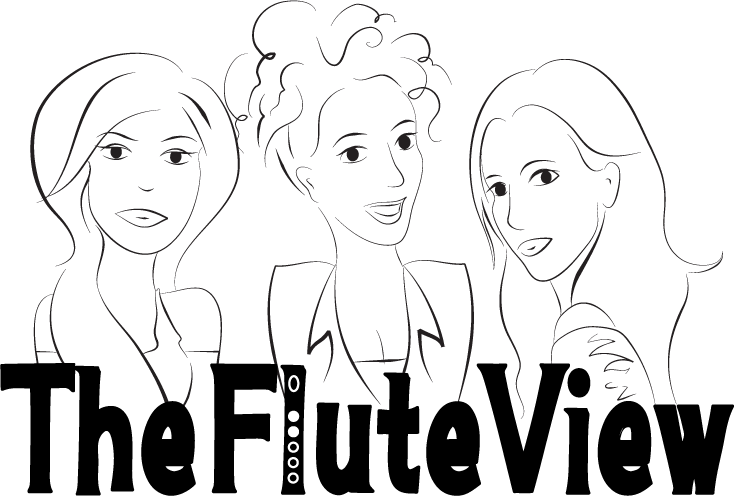 After six years with Becki, I entered Juilliard PreCollege where I have studied with Brad Garner and Demarre McGill. What grade are you in? Where do you go to school? What are your plans as a musician? I am a rising eleventh grader at the University Scholars Program in the Pennsylvania Leadership Charter School. After I graduate, I hope to attend conservatory. Next year, I want to learn a lot of repertoire. I really want to learn Schubert’s Trockne Blumen variations, as well as the Bouriakov transcription of the Saint-Saens Introduction and Rondo Capriccioso. I would also like to chop about ten inches off of my hair (it’s really long and heavy). 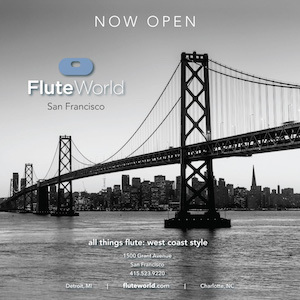 What do you like best about the flute? 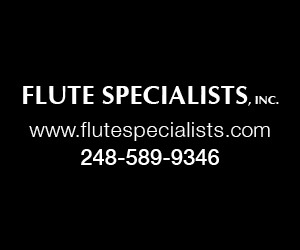 I have always loved the sound of the flute. In my opinion, it is the most beautiful and singing instrument. I have a pug named Lorelei (and am thus always covered in pug hair). I love to eat but I wish every meal came in a bento box. I hate when my food touches and mixes together. I love shoes. The taller, the better (I’m very short). I am addicted to coffee and chocolate. I have a weeping cherry tree named Cherry that is exactly the same age as I am. Clearly, I named the tree when I was quite young with great originality.